HELP YOUR PROSPECTS REACH THEIR BRANDING POTENTIAL. 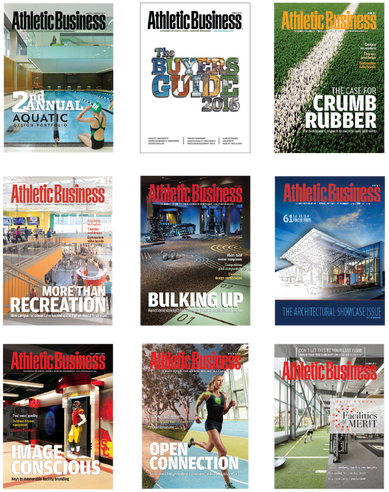 This July/August, Athletic Business is rolling out the Branding Issue, featuring the products and equipment that help facilities define their brand. Our engaged audience of 40,000 print subscribers and thousands of website visitors will use this inspirational issue as their go-to annual resource to find all the solutions they need to promote their brand. ​make sure they can find you. 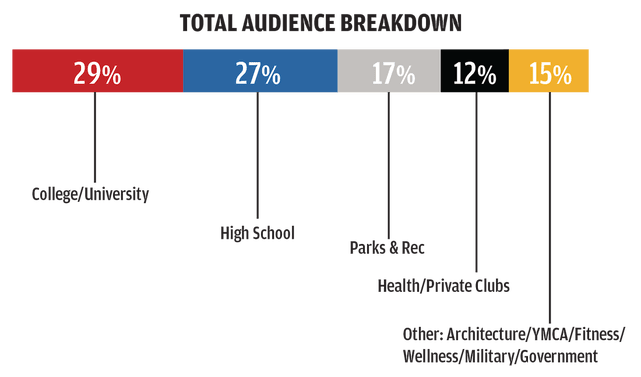 40,000 athletic, fitness and recreation professionals and thousands of website visitors look to Athletic Business to explore the latest and greatest innovations and trends sweeping the industry. The pages of the Branding Issue will be filled with inspiration that our engaged audience will use as they plan for future projects and continue to define their brand. Help your prospects find you as they explore the next level in branding innovation, design and solutions – all with Athletic Business. drive your message forward to an audience that counts. But our reach does not end with our magazine. Our digital audience of 45,000+ email subscribers and 2 million+ website visitors give your brand even more opportunity to reach the core decision makers looking for the latest products and services to drive their facility forward. Together, Athletic Business and AB Show have formed a media powerhouse that provides the print, digital and in-person solutions your company needs to have a successful B2B marketing strategy. AB Show is the ultimate destination to showcase your company to facility owners, managers and program directors who are ready to buy from you.